Old-Fashioned Sugar Cookies are some of the most delectable melt-in-your-mouth cookies you’ll ever eat. These simple cookies don’t have to be rolled out, iced or frosted, and they’re certainly not difficult to make. These are rolled in sugar before baking and that’s the extent of it. They’re relatively quick, easy and, for that matter, they’re quite economical because you will probably have all the ingredients on hand in your pantry. I’ve always loved Old-Fashioned Sugar Cookies. I remember the first time I ever ate one. I was about eight or nine years old and my family was traveling through Ohio visiting relatives we hadn’t seen in some time. I think we were in the Akron area and we stopped to visit my dad’s Aunt Alma and Uncle Frank. They were up in years then–probably late 70s or early 80s. Aunt Alma had made these huge Sugar Cookies. They were large whopper-sized cookies, the size of a hand. They had been rolled in sugar and oh, my they were so good. Still warm from the oven too. I remember that event about 50 years ago for two reasons. My mom never baked Sugar Cookies when I was growing up. Not ever–not this kind that you roll in sugar, nor the kind that you roll out and ice for Christmas cookies–she never made them. Plus, Mom’s cookies were always small. She never made large cookies. 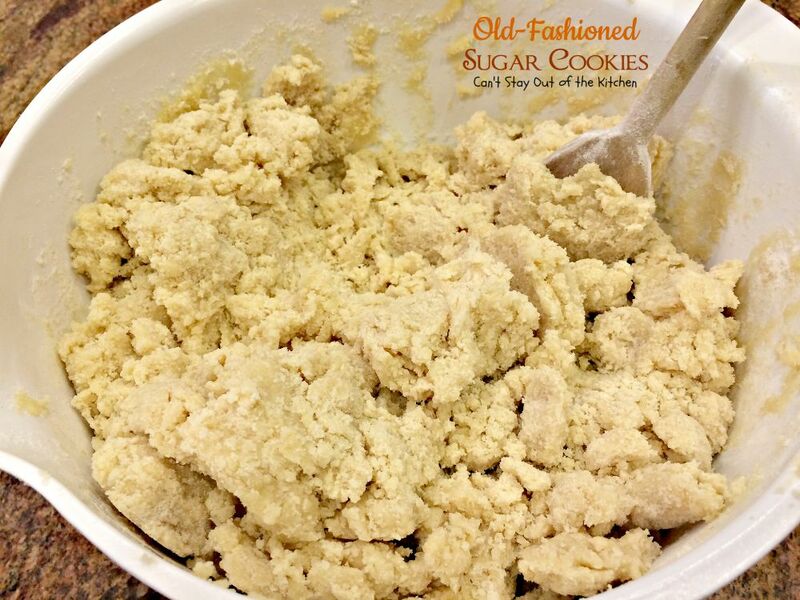 I was fascinated with my great Aunt Alma’s Old-Fashioned Sugar Cookies. They were SOOOO big and SOOOO delicious. I wolfed down at least 5 of them. I’d always wished I’d gotten the recipe, but we never really kept up with my dad’s side of the family all that much while I was growing up. However, I did collect a recipe down through the years that’s the next best thing to Aunt Alma’s Sugar Cookies. When we first started attending church as a young married couple back in the late 70s, our church cook, Pat Whitfield, used to make these cookies frequently for Wednesday night suppers. She was a cook in the Pinellas County School System in Florida where we lived at the time. I collected several of Pat’s recipes as everything she made was superb. I was a novice cook back in those days with zero experience in the kitchen. While it would be a few years later than I really started cooking in earnest, I was glad I asked for and received this delectable cookie recipe. Anyway, I was asked to bake Sugar Cookies for our church’s Vacation Bible School event in a local park. 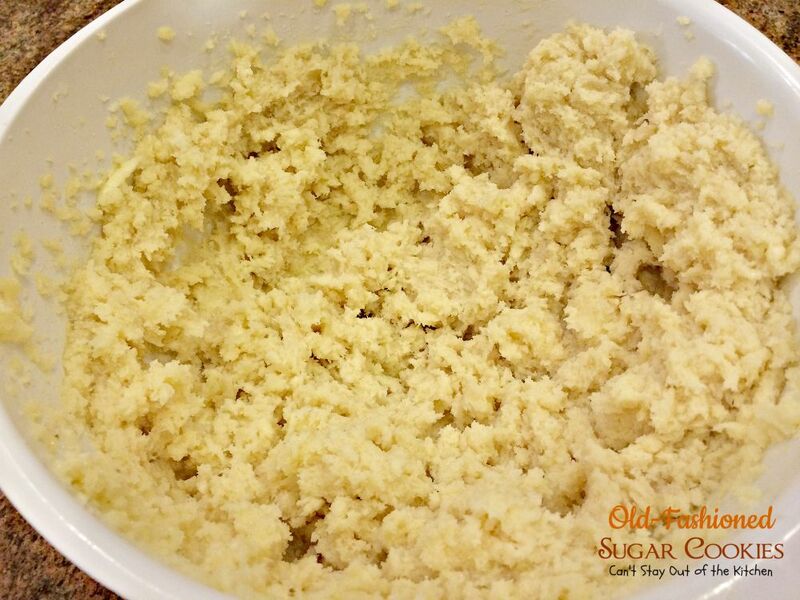 Our Children’s minister wanted 150 Sugar Cookies and 150 Chocolate Chip Cookies so I went back to this delicious recipe that I’d had for years. Everyone loved the treats I made and even though I love Sugar Cookies with all the gooey icing, it sure was nice not having to spend that much time baking them. This easy recipe did the trick. 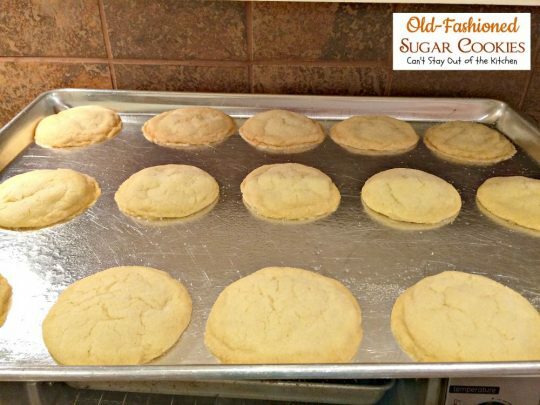 If you’re looking for a scrumptious sugar cookie to make, but you don’t have time to roll out cookies, or frost and decorate them, then I can highly recommend Old-Fashioned Sugar Cookies. They’re so easy, and they’re a treat your family is sure to rave over. 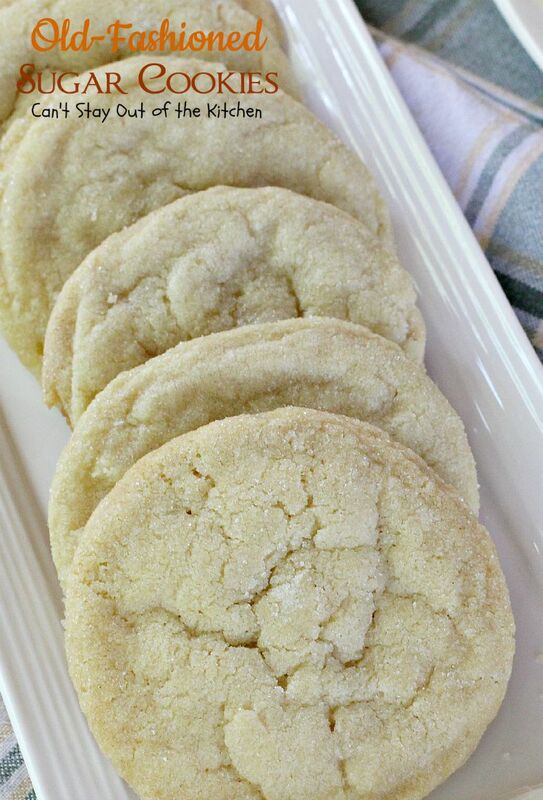 Old-Fashioned Sugar Cookies are just like your grandma used to bake! 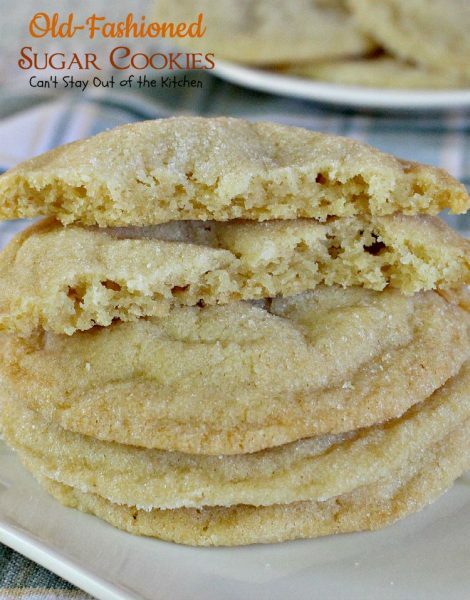 These delicious cookies are so quick and easy to make up. 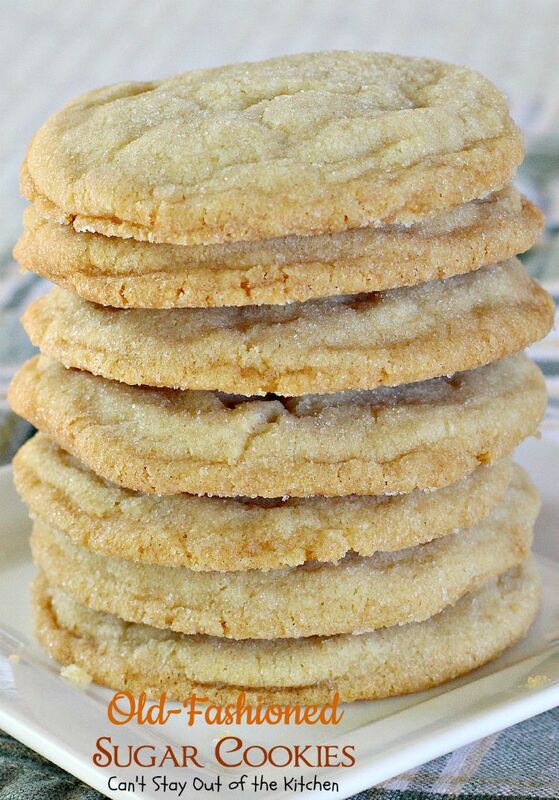 I use real butter rather than margarine or shortening which increases the flavor of Old-Fashioned Sugar Cookies. Place softened butter in a mixing bowl. 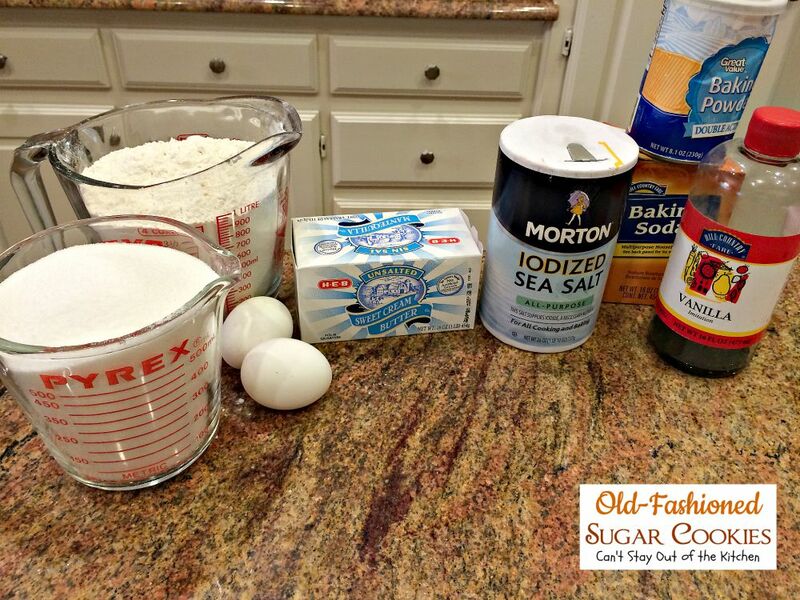 Add eggs, sugar, vanilla, baking powder, baking soda and salt. Cream ingredients with an electric mixer until well combined. 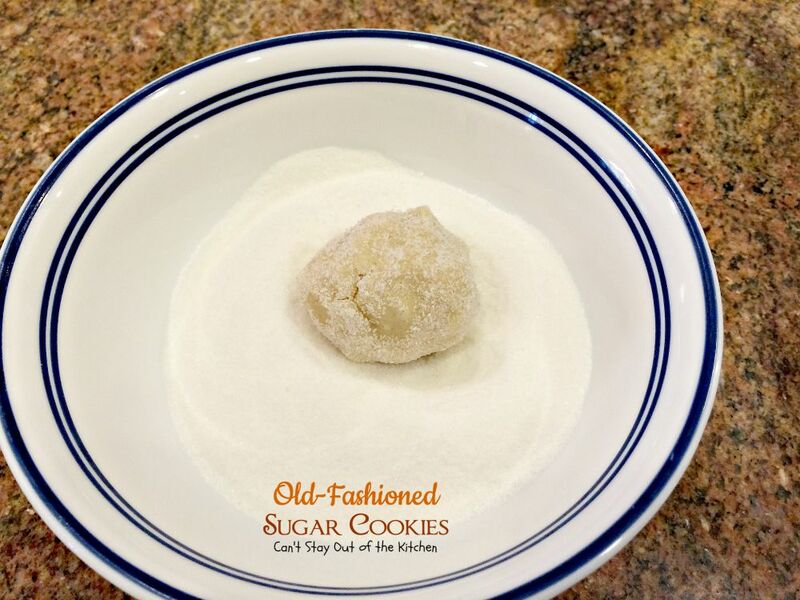 Roll cookie dough into balls, then roll in sugar. Place on greased or sprayed cookie sheets. Bake at 350 for 15-20 minutes or until done. Rotate racks about every 7 minutes. 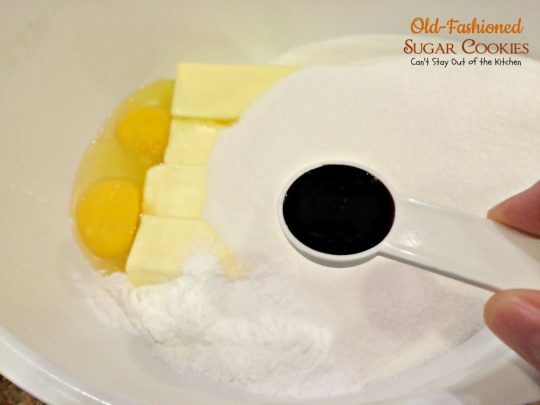 Old-Fashioned Sugar Cookies are great served with a glass of cold milk. 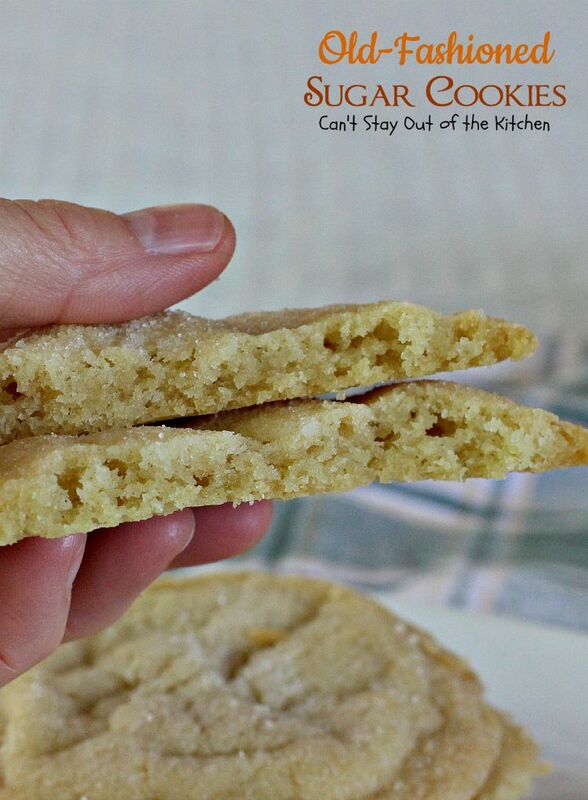 These simple sugar cookies are big on flavor, but low on work! Just roll in sugar and bake - no rolling out cookie dough, no frosting or decorating the cookies. Scrumptious in flavor, but quick and easy. Cream sugar, butter, eggs, vanilla, baking powder, baking soda, and salt with an electric mixer until smooth and creamy. 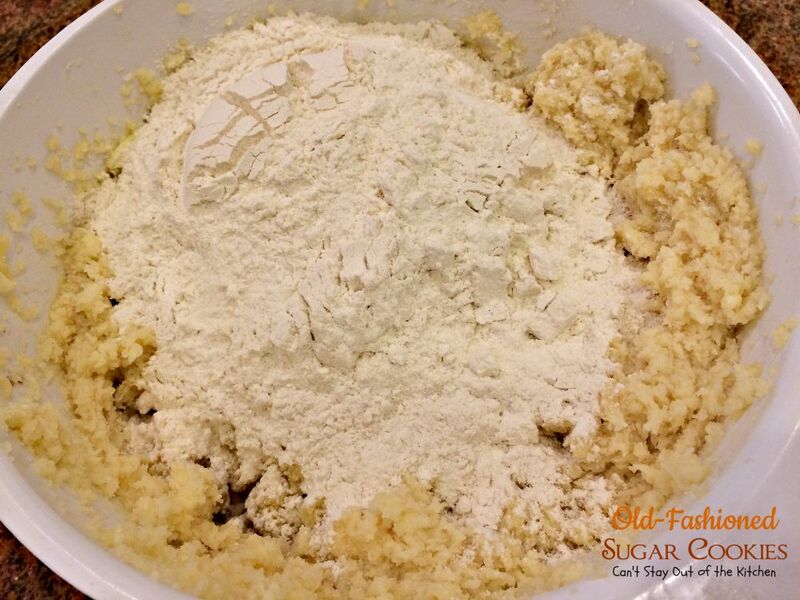 Stir in flour with a wooden spoon until very well combined. Roll dough into large golf-ball sized balls and roll in sugar. 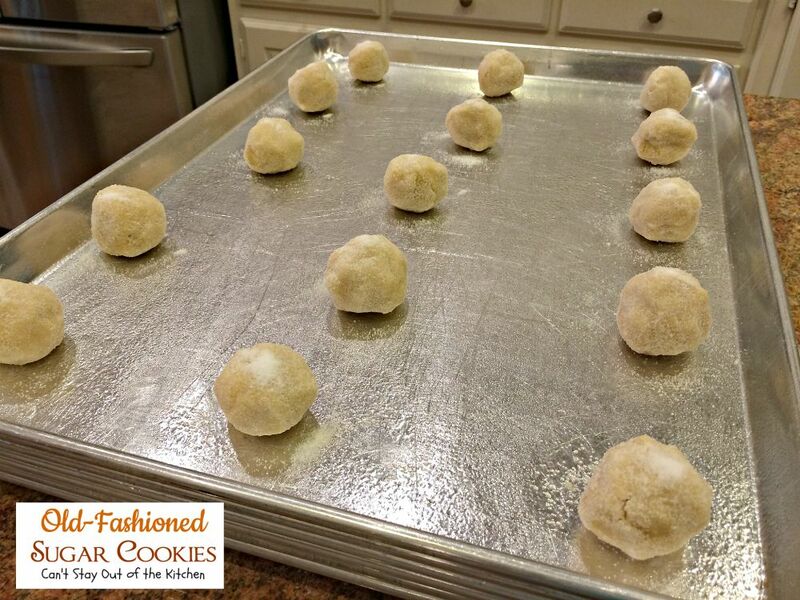 Place on greased cookie sheets about 3 inches apart and bake at 350° for 15-20 minutes or until cookies are done. 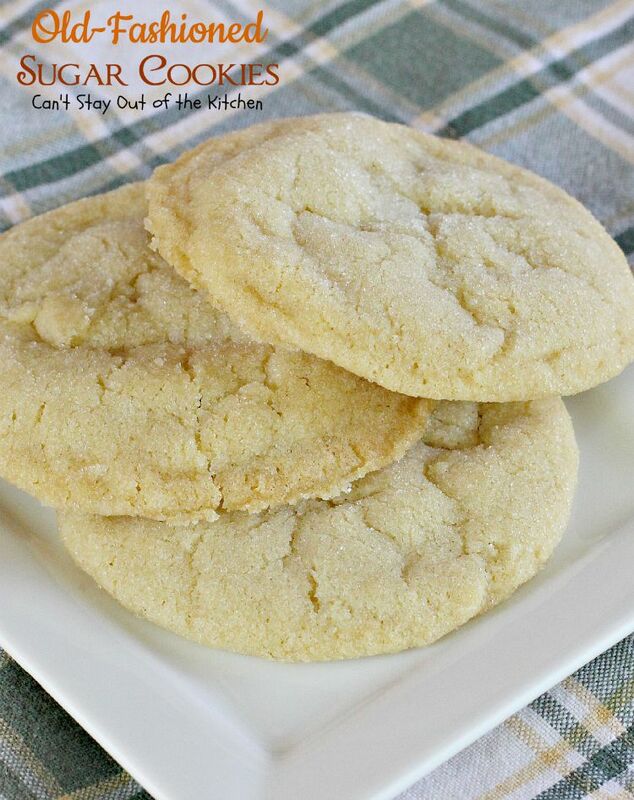 These simple sugar cookies are big on flavor, but low on work! Just roll in sugar and bake – no rolling out cookie dough, no frosting or decorating the cookies. Scrumptious in flavor, but quick and easy. 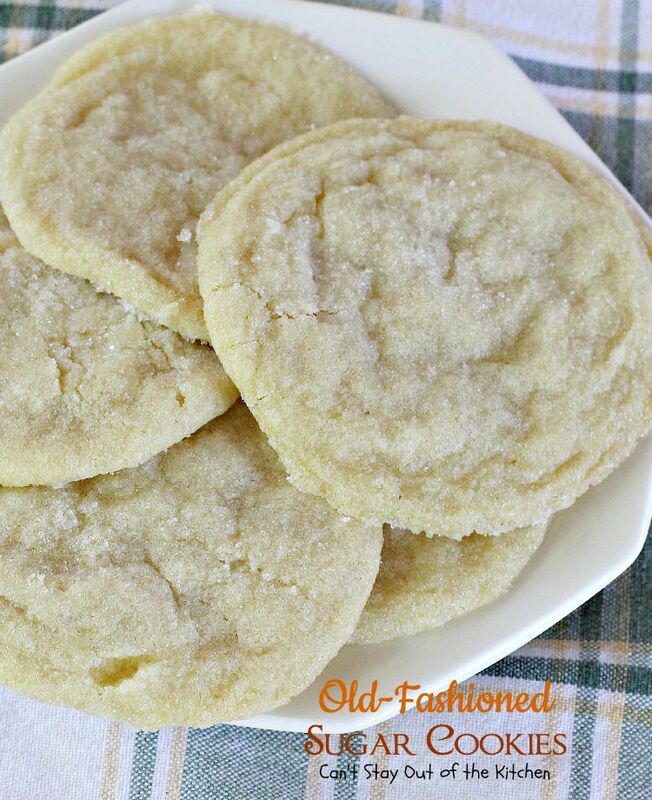 Old-Fashioned Sugar Cookies are so quick and easy to make, plus they’re quite economical. Yes, it will be hard to stop at just one! Hope you enjoy these, Shari. You’re so sweet, Kim. I could down about 5 of these with a glass of milk right now. 🙂 Too bad they’re all gone.